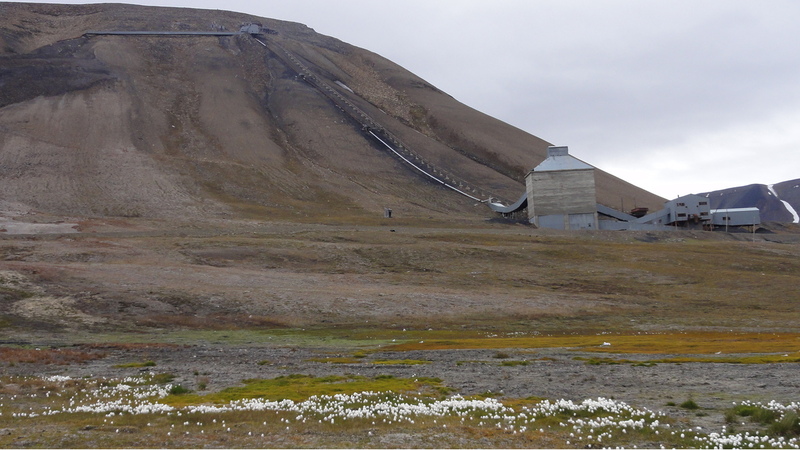 An abandoned coal mine on the Bolternosa mountain, between Bolterdalen and Endalen, in the Adventdalen valley, E of Longyearbyen. Production started in 1969 and lasted to 1981. Produced about 380 000 tons of coal.